A three vehicle collision has closed the A15 at Glinton this morning, Tuesday July 21. The road is blocked at its junction with the B1443, Helpston Road. 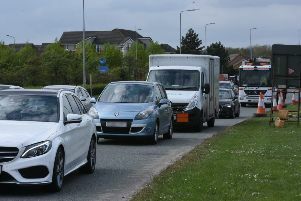 Police were called at 8.20am and said the road is closed from the Glinton roundabout while vehicle recovery takes place. The East of England Ambulance Service were called and said one man had suffered minor injuries.